So, we got in the lift, which was one of those really slow ones where you have to keep pushing a button the whole time, or the lift will stop. 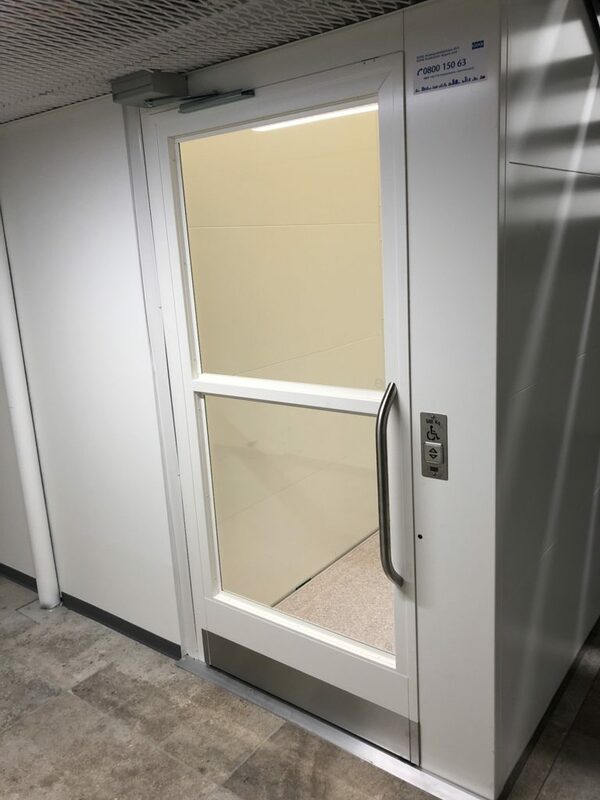 When we got out of the lift, I looked around in disbelief — the lift didn’t go all the way to ground level, but instead we were faced with the choice of more stairs or an escalator. No lift or even a ramp of any kind. Was this a joke? The only option was to go back and use another exit, which thankfully was not very difficult. Since we weren’t exactly in a hurry, I went to the information desk to give some constructive feedback. 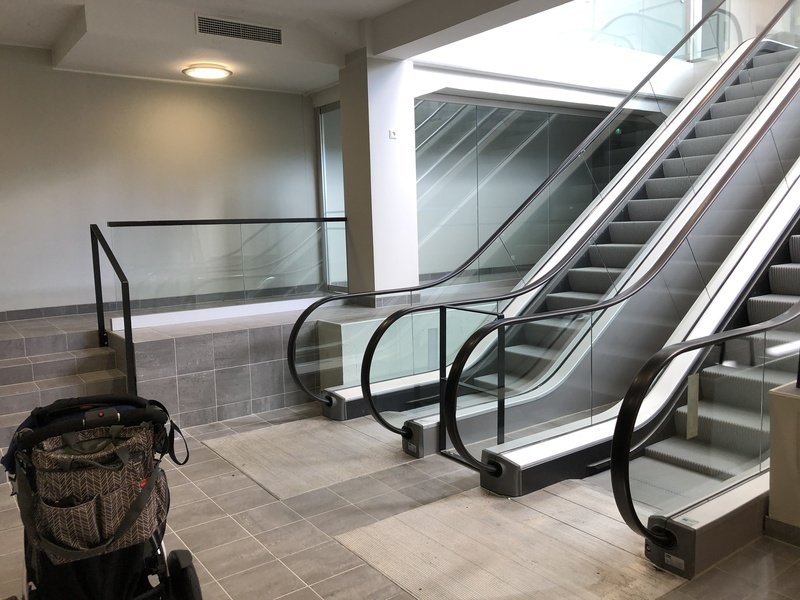 Apparently the City of Tampere is responsible for making the last flights of stairs accessible, and the shopping center had done its part of the deal by building the lift. I asked whether it had occurred to anyone to put a sign to stop people with wheelchairs and strollers wasting their time. The guy just shrugged. Obviously the above issue will go away when the city fulfills their end of the bargain, but meanwhile many many wheelchair users and families with prams and push-chairs will be frustrated and it will probably not improve their opinion of the shopping center in question. It screams a lack of empathy from the people involved in designing and running the premises, but unfortunately is something that happens a lot in both the physical environment and online. It’s glued-on accessibility where no-one involved cared enough about the actual end user experience.